The last installment in the 'Harry Potter' saga was epic in all possible ways, but the final Battle of Hogwarts resulted in a number of tragic losses to the wizard world. However, every year the author of the series, J.K. Rowling, concedes an apology on Twitter for one or more of the fallen characters, which continue to break fans' hearts. One of the most mourned losses was, without a doubt, that of Hedwig. 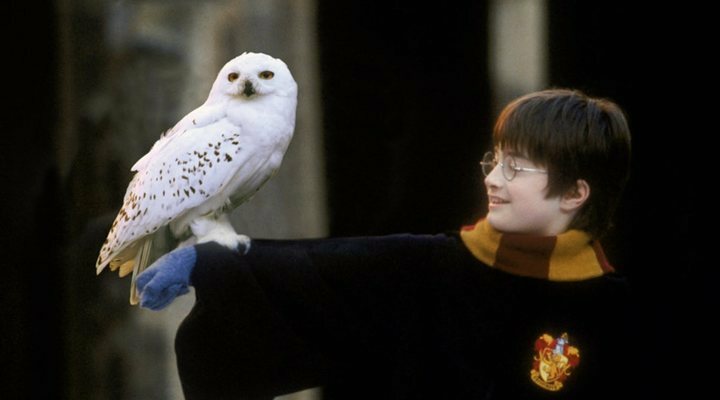 Harry's loyal pet owl was killed by the Avada Kedavra curse at the start of the seventh novel, saving Harry's life as he flew to safety with Hagrid and various other of his wizard companions. However, one Potter fan could not help but challenging Rowling's genius, editing the chapter to give it a more hopeful ending and resolving the heartache felt by so many. Twitter picked up on this image and fans have been in raptures. After this, fans have gone wild asking for the same with their own favourite characters, including the most beloved couple (who were tragically murdered), Remus Lupin and Nymphadora Tonks, who had just given birth to a son, Teddy Lupin, before their tragic deaths in the Battle of Hogwarts. This Twitter user edited the flash-forward section at the end of the book, to suggest that the couple still lived. But the most hopeful Twitter user of all was one who chose to simply stick a post-it note in the centre of one of the pages, saying "And they all lived happily ever after. The End." Undoubtedly a far sweeter ending to the seven novels (and eight films) for Harry, his friends, and fans alike! Potterheads do not only mourn for the fictional faces in the 'Harry Potter' saga. The British actor, Alan Rickman, who played the role of Severus Snape, sadly died two years ago, and today fans around the world are remembering the man and thanking him for giving life to one of the most memorable characters in the saga. The most recent homage was at the Harry Potter Film Fest in Madrid, where spectators raised their wands for a minute of silence in the actor's memory.